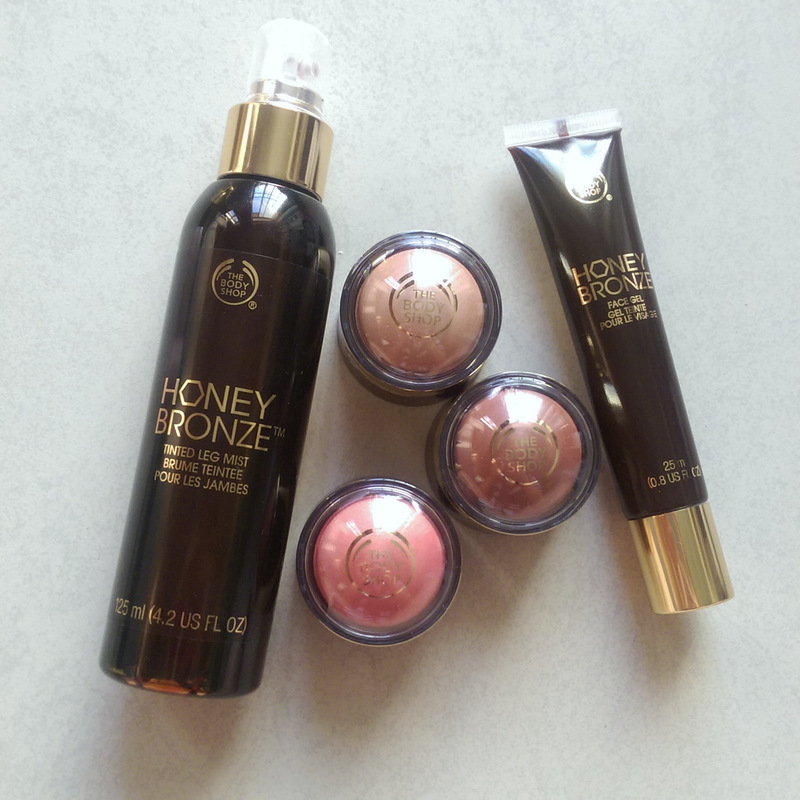 The Body Shop have launched three new additions to their Honey Bronze cosmetic line up and they’re all awesome. I also like that they all feature The Body Shop’s Honey Bronze/Honeymania scent, a soft, summery floral. The Body Shop Tinted Leg Mist (R199), Highlighting Domes (R150) and Face Gel (R80). The tinted leg mist and face gel are both great liquid bronzers that create the illusion of a very natural-looking tan. While both products look very dark in their packaging, they sheer out beautifully and look great even on my very pale skin. In fact, these boys where pretty much made for pale peeps like me. This is the colour result of the face gel. Just to clarify, the leg ‘mist’ is actually more of a spritz. You can’t just mist it on like a spray tan and not blend it. You definitely need ot blend it in using your hands or, better yet, a self-tan mitt. I wore this the other day on my arms and the colour stayed put all day. I’d be nervy of wearing it against anything light coloured though, like a white wedding dress for example, as I’m quite sure it would transfer to your clothes with enough friction. 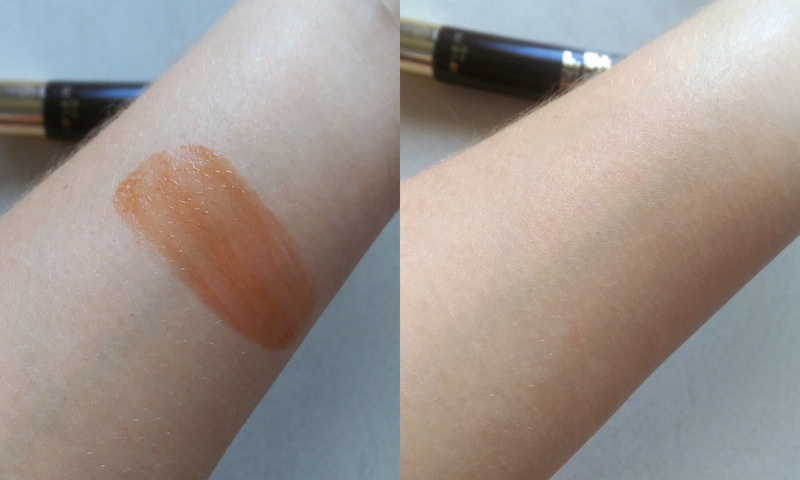 The arm swatches feature Pink up top, Golden in the middle and Bronze right at the bottom. 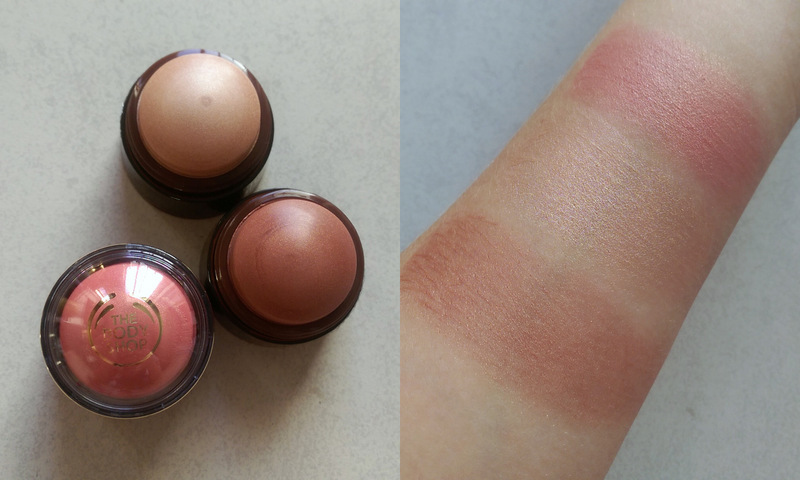 Each dome has a super sheer, easy-to-blend texture, like a silicone-infused ultra light weight cream blush, and are super easy to sweep and blend across your skin. In a way, their ‘effect’ makes me think of that you’d get from using one of Bobbi Brown’s Shimmer Bricks. While The Body Shop reckons these are for your face, there’s nothing stopping you from using them anywhere. Golden, for example, would look great on collar bones. The only real complete and utter no go? 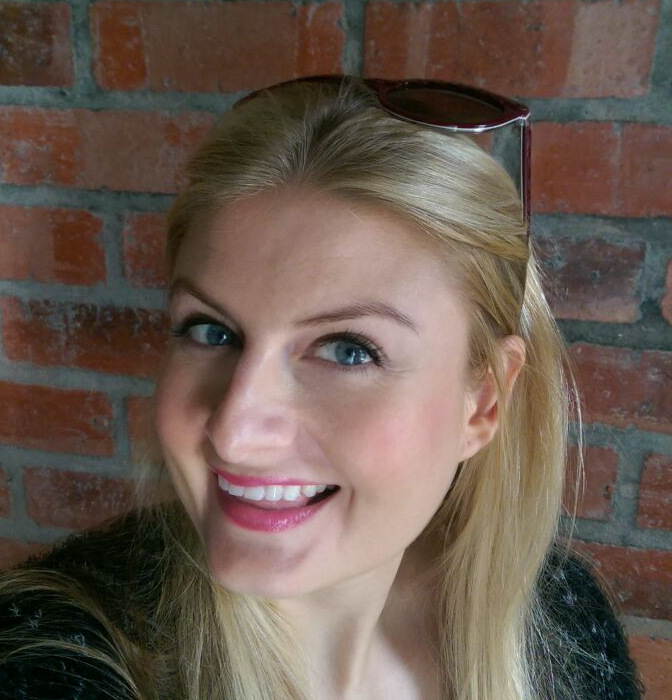 Anywhere you have enlarged pores as using anything shimmery there will only serve to enhance them. Anyway, this is me wearing the gel on my face along with the Pink highlighting dome as a blush. Note the subtle colour difference between my face and chest? Aside from the gel, I’m also wearing Catrice Camouflage cream concealer, a bit of MAC Blot Powder, a rubbish new mascara I won’t name, MAC Lipglass in Flashmode and Catrice’s lovely new Velvet Matt Smokey Eyes pencil (more on that later). My brow’s look darker ‘cos I tinted them myself last night. We like? Which brand of dye did you use on your brows? They look great. So sorry! I got your message while revoltingly drunk and only remembered to revert now ;-P I use Julienne lash and brow dye in Dark Brown that I buy for a pittance at Dis-Chem. Super easy to use and the tube lasts forever.